This is the beautiful Lizzie. I was hired to paint her for a lovely lady to give her son and daughter-in-law for a Christmas gift. 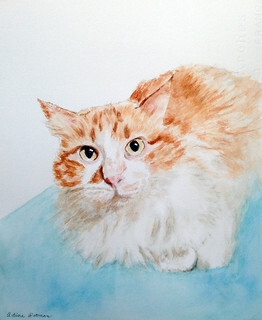 This entry was posted in Watercolors and tagged watercolor on January 2, 2015 by steven. 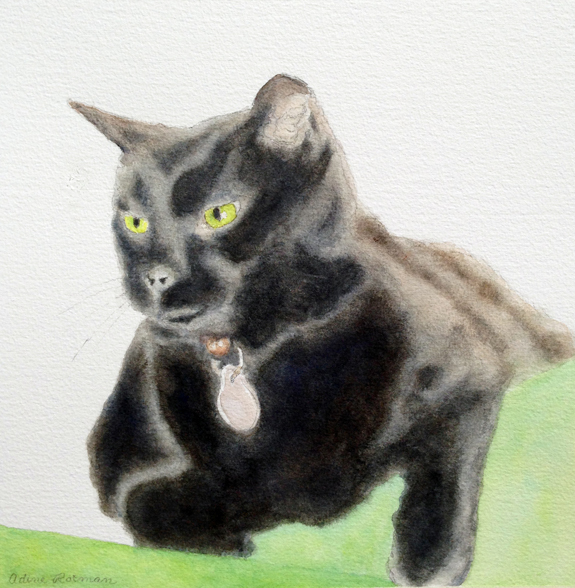 I painted this beautiful black cat as a commission for a kind 90 year old man whose cat, NASA, recently passed away. This entry was posted in Watercolors on October 12, 2014 by steven. 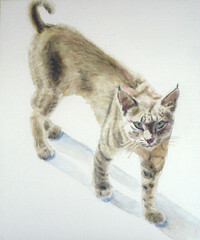 A very nice lady hired me to paint Tashi for her daughter who lives in San Diego with Tashi. The mother was thrilled when she saw the finished portrait. They call him, Tashi the hunter and he is a handsome cat. 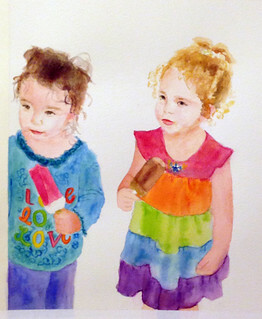 This entry was posted in Watercolors on November 14, 2010 by steven. A Peaceful Pet is a new concept in the art of animal love. Owner, Sandy Stutz, is a visual artist, National Certified Master Groomer, and a meditation teacher. She brings all of this under one roof. A unique concept in business, a grooming salon for cats and small dogs combined with a boutique, also featuring a gallery of original, environmentally friendly artwork related to animals. Please join me as well as the artists, Deborah Bright and STUTZ, during our reception and grand opening. Refreshments will be served. 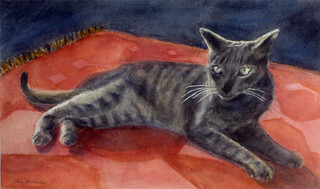 This entry was posted in Watercolors on December 6, 2009 by steven. A very nice lady from Arizona found me through FaceBook and decided to hire me to do a pet portrait to give her parents as a Christmas present. She was very excited when she saw the finished piece. She said that she appreciated how I captured the hungry, menacing look in his eyes. Edgar was found as a stray and he resembles a bobcat. Edgar makes a beautiful model for a pet portrait. 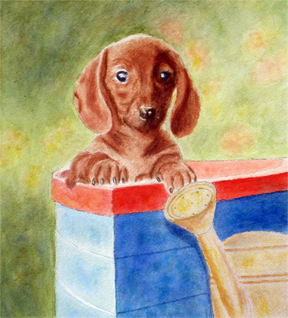 This entry was posted in Watercolors on November 17, 2009 by steven. I have updated my cafepress site with my original watercolor paintings, which make beautiful holiday gifts as the images on holiday cards, t-shirts, tote bags, coffee mugs, magnets and buttons. 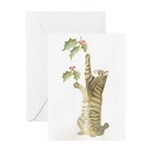 The “Reaching for Mistletoe” painting is one of the most popular images for this holiday season. This entry was posted in Watercolors on October 18, 2009 by steven.